What's the FBI's role in the Kavanaugh proceedings? Congressional Democrats and Christine Blasey Ford, the woman who accused Supreme Court nominee Brett Kavanaugh of sexual assault when they were in high school, have called for a FBI investigation into the allegations before testifying in front of the Senate Judiciary Committee hearing. "A full investigation by law enforcement officials will ensure that the crucial facts and witnesses in this matter are assessed in a non-partisan manner, and that the Committee is fully informed before conducting any hearing or making any decisions," read a letter to the committee by Ford's attorney. Democrats have also pointed to the allegations made by Anita Hill against then-nominee Clarence Thomas in 1991, which were investigated by the FBI under the direction of President George H.W. Bush. But Republicans, along with President Trump, argue that the FBI has already concluded its work and that the committee is capable of investigating the allegations. "The FBI does not make a credibility assessment of any information it receives with respect to a nominee. Nor is it tasked with investigating a matter simply because the Committee deems it important," Judiciary Committee Chairman Chuck Grassley responded in a letter to Ford's attorney. "The job of assessing and investigating a nominee's qualifications in order to decide whether to consent to the nomination is ours, and ours alone," Grassley said in the letter. While the president could authorize further investigation by the FBI, Mr. Trump said he trusted the committee to carry out the process. "'It seems that the FBI really doesn't do that," Trump told reporters on Wednesday, noting that the bureau already completed six background checks on Kavanaugh. So who is right? And is it true that the FBI "really doesn't do that?" Let's cut through the clutter and explain the FBI's duty and role in the Kavanaugh allegations. Traditionally, how is the FBI involved in vetting a Supreme Court nominee? The FBI conducts a background check at the request of the White House, mainly to determine whether the nominee could pose a risk to national security interests of the United States, according to the Justice Department. Investigators interview an array of associates of the nominee, and report their findings back to the White House. In that way, the FBI is considered a contractor for its client, the White House, says Ron Hosko, a former assistant director of the FBI and a CBS News contributor. 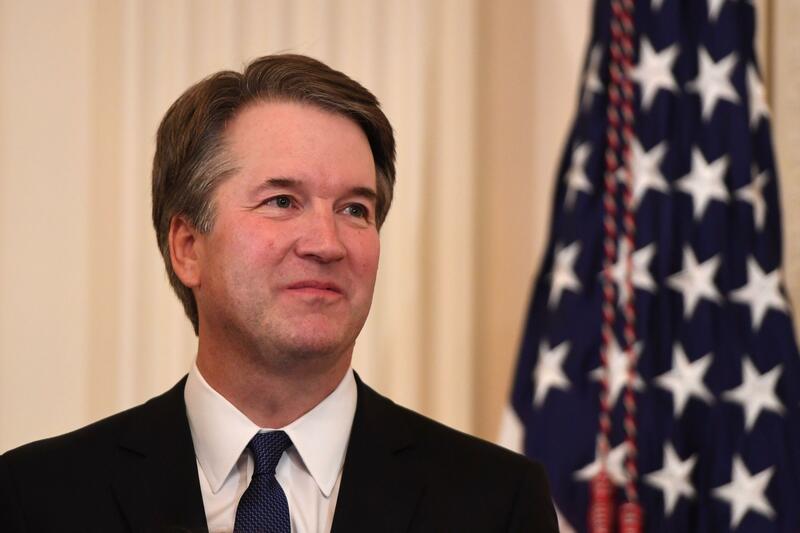 Kavanaugh, who served in the George W. Bush White House, has already completed six FBI background checks. Given Ford's allegations, can the FBI open a new investigation? "The White House is the client, so they would have to order it," says Hosko. If the allegations rose to the level of a federal crime, the FBI could pursue a probe on its own. But since they do not, according to accounts reported thus far, the FBI does not have the obligation to pursue it further. Additionally, alleged assault described by Ford in an interview with the Washington Post took place in Montgomery County, Maryland. Local officials there have not opened an investigation. "Consistent with the memorandum of understanding, the FBI forwarded this letter to the White House Counsel's Office. The allegation does not involve any potential federal crime. The FBI's role in such matters is to provide information for the use of the decision makers," the Justice Department said in a statement. "If the FBI becomes aware of new information that raises questions about the suitability or trustworthiness of an Appointee … the FBI will so apprise the President or his designated representative as soon as possible." If the White House were to direct the FBI to investigate further, how would they proceed? And how long would it take? It's important to keep in mind that the FBI conducts investigations and presents findings, but "does not make any judgment about the credibility or significance of any allegation," the Justice Department said in a statement. If tasked by the White House to pursue an additional probe, federal investigators would interview Kavanaugh, Ford, and other alleged participants or associates, as well as pursue any additional leads. Hosko says such an investigation could be conducted quite quickly, given that any such order would be considered a pressing matter and would be regarded inside the FBI as a special inquiry. "There would be a sense of urgency about this," says Hosko. "They could do that tonight, assuming you have cooperative witnesses....and there could be paper in the hands of the White House and Senate committee by close of business tomorrow." Kavanaugh has denied the allegations. Mark Judge, a friend of Kavanaugh's whom Ford identified as being present during the alleged assault, has said he had no memory of the incident and never saw Kavanaugh act in the manner described. He also said he did not have anything to offer the committee and did not wish to speak publicly. Can't the Judiciary Committee just conduct the investigation? The committee has the power to investigate the allegations against Kavanaugh, and Senate Republicans argue that is the best course of action. Chairman Grassley has said he would welcome Ford to share any information with the committee in a manner or venue in which she would feel comfortable doing so. There is the expectation of candor in testifying to a committee, just as it is with the FBI. Lying under oath would be punishable in both instances. The Senate Judiciary Committee has "a bunch of very capable lawyers on both sides" who could ask questions, says Hosko. The question of jurisdiction, then, may be more political than practical. Republicans have accused Democrats of wanting to delay the hearing by calling for a FBI probe and have criticized Feinstein for withholding the letter from Ford from the FBI for several weeks. Democrats say that Republicans are desperate to rush the nominee through. With midterm elections looming, both parties have political interests in mind. But Republicans have the majority in the Senate and control the proceedings of the relevant committee and subsequent floor votes.